This is a place to share information and discuss Heating, Air Conditioning, Ventilation and Refrigeration, as well as other trade related topics. Please note that all code references are from the CAN/CSA-B149.1 Natural gas and propane installation code, and the B52-05 Mechanical Refrigeration Code. This website is a great source for HVAC News, Product Recalls, TSSA Orders & Advisories, B149.1 Code Documents, Ontario Acts & Regulations, and much more! The G2 & G3 Gas Technician exams are available! There are 438 Questions & Answers. The G2 & G3 Gas Technician exams are now available. Only members with private forum access can view the exam. A donation of $20.00 will get you access to the G2 & G3 private forums. Click Here to donate and click Here after you have donated. 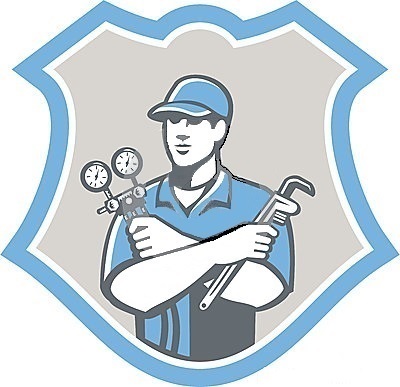 The 313D Residential Refrigeration Systems Mechanic exam is available! There are 132 Questions & Answers. The 313D Residential Refrigeration Systems Mechanic exam is now available. Only members with private forum access can view the exam. A donation of $20.00 will get you access to the 313D private forum. Click Here to donate and click Here after you have donated. The Private Heat Exchanger Gallery is now online, with over 68 models of furnaces. This is a great tool to help find heat exchanger failure. A donation of $20.00 will get you access to the private Heat Exchanger Gallery. Click Here to donate. Click Here after you have donated. Need Help? HVAC Help Forum is online! Find answers to heating and air conditioning questions by visiting the Ask a Pro Forum. Please register Here to post. Ask a pro if you're having problems with your furnace, boiler, fireplace, water heater, pool heater, heat pump or air conditioner.